TTD Cottage, Vishnu Nivasam complex is located just opposite to Thirupathi Railway Station. It is very close to Tirupati bus stand(just 5 mins walk) and railway station. Vishnu Nivasam is the best TTD accommodation center for all pilgrims who visit Tirupathi. 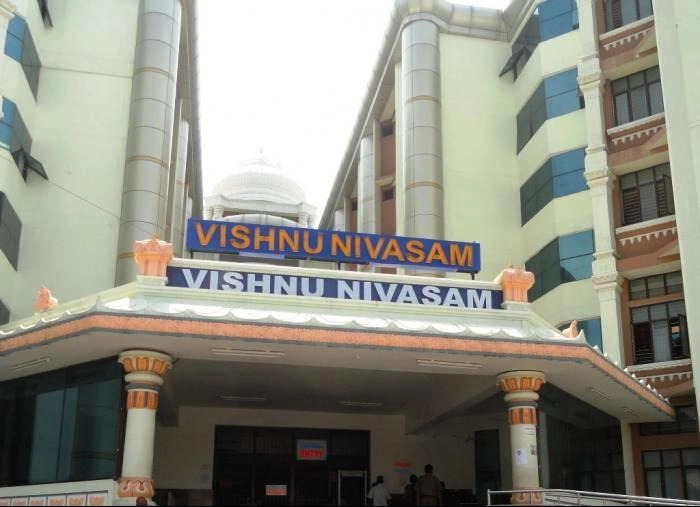 Vishnu Nivasam complex is maintained by TTD along with Srinivasam & Madhavam complex near Thirupati Bus stand. It has free locker facility as well. The toilets are clean. It has a restaurant facility in the ground floor. Very good car parking facility available. 50% Of the Rooms will be released online to enable pilgrims to book the rooms in advance. Devotees should have a login in the above mentioned site. Pilgrims should upload their photograph to continue with the booking. Room booking will be opened 60 days in advance . 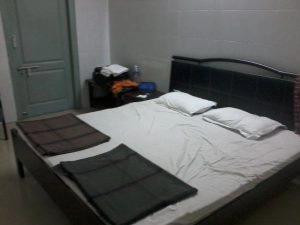 So pilgrims are requested to book the rooms soon, so that they can have a comfortable stay. Only one room booking is allowed per login during 60 days. The person who made the booking can only take the room. Cancellation or Transfer of booking is not allowed. Produce your booking receipt at the reception in Vishnu Nivasam to get the room keys. During Room allotment Caution Deposit will be collected. Please keep the receipt safe until you vacate the room. 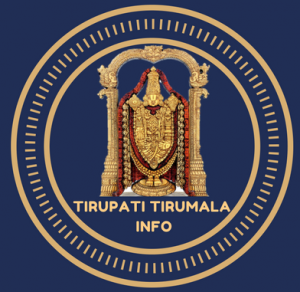 50% of the rooms will be available under Current Booking for Pilgrims visiting Tirupati. Pilgrims need to carry valid ID Proof to avail booking. Caution deposit will be collected at the time of room allotment. Please keep the receipt safe till you vacate the room. Only the person who booked the room can checkout the room. On arrival booking cannot be made for future dates. Can be booked only for that day. Extension for one day will be done at Room allotment counter in the Ground Floor, with the same tariff. Pilgrim has to inform the reception about the extension in advance. Pilgrims who want to stay beyond 2 days from the time of allotment have to pay double the rent amount. Double rent is charged to avoid misuse. Room will be allotted to the person on whom the booking is made. If you have any queries. Please ping us or leave a comment below. We will address your queries as soon as possible. we’re a family. me my wife and 2 male child not able to get the room at 17th of octuber’2018. in online all are booked. kindly help in this regard. any alternate. we don’t want to prefer private hotels. You can visit CRO office on arrival and try in current booking. Room will be allotted based on availability. Hi we are total 7 people, and need 2 rooms for 3 consecutive days in September 2018. but i am unable to add their names. because per room, it is showing only 2 people. Hi sir, You can freshup at Vishnunivasam or Srinivasam by utilising commom washrooms and locker facility. Namasthe, If I am coming alone can I book and get accommodation? i booked in vishnu nivasam 16.09.2017 but i want to change booking date in 17.09.2017 if it is possible? Change of date is not allowed. Sir, I booked a room for Aug 7. I have selected wrong time slot. So I cancelled a room. When my refund amount will be credit? It will be adjusted in seven working days. I booked a AC room via online can please guide what are facilities will provide e. g weather there will hot water in the room or not? TV facilities will there or not? Hi Sir, hot water facility will be available. TV is not available. Free parking available. Sir we want a room ordinary for 17th & 18th. Can we get, we are coming on 17th evening & leaving on 19th early morning. TTD accommodation is available. Please visit http://ttdsevaonline.com and book your accommodation as soon as possible. One day extension allowed based on availability. how many can stay in AC suite Room? It’s required only for freshup..
we are a 5 person group. we’ll be visiting tirupati in july.can we book 2 rooms(a/c) using log in information of two different person? Sir, can you tell me TTD authorized cloak rooms available in thirumala to keep my belongings before dharsan. I am a senior citizen 67 years old to go for dharsan on 27th april 3.00pm with my wife.Kindly tell me sir. A cloak room is available near supadham entrance. Is there a facility for having “talaneelalu” at Vishnu Nivasam TTD-complex? If it is not there, which specific TTD-complex in Tirupati itself has this facility? Tonsuring facility is only available in Tirumala.Most of the cottages in Tirumala have Tonsuring facility near by. ya. you can book using four different logins. 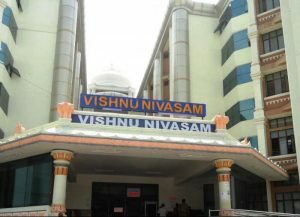 If you need single room for 4 persons, you can book in vishnu nivasam using a single login. Currently online quota of accommodation is full. You can try current booking on arrival.